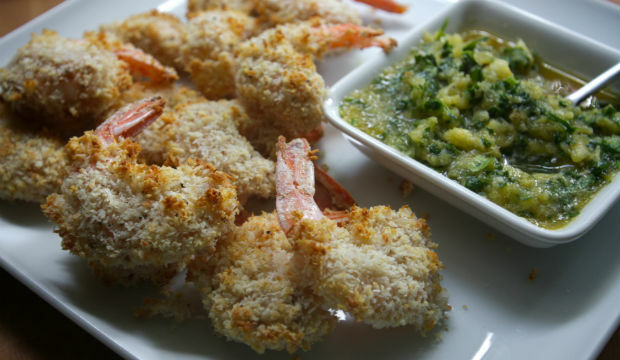 This coconut shrimp can be used as an appetizer, party food, or main course. There is a little sweetener in the coating, but this is optional. Pair them with seafood dipping sauce or check out our garlicky aioli sauce.